It has been established that a diet rich in apple pectin may help protect against certain diseases. Research in Japan supports that apple pectin can also decrease the chances of colon cancer. Apple pectin helps maintain intestinal balance by cleansing the intestinal tract with its soluble and insoluble fibers. Apple pectin tends to increase acidity in the large intestines and is advocated for those suffering from ulcer or colitis and for regulating blood pressure. 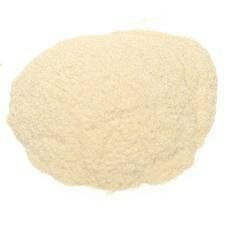 Pectin is also effective in causing regressions in and preventing gallstones. There is also evidence that the regular use of apple pectin may lessen the severity of diabetes. Since Apple Pectin is an indigestible, soluble fiber, it is a general intestinal regulator. It is used in many medicinal preparations, especially as an anti-diahrrea agent.